The town of Hernádvécse was inhabited by German settlers, “the Germans of the Queen” during the reign of Andrew II, all of whom were subjects of Beatrice d’Este, Queen consort of Hungary. The coat of arms of the town – designed in this modern age by Sándor Józsa, an artist from Debrecen, by order of Tibor Takács, visionary of the mansion hotel – evokes the first written records dating back to 1235, in which the settlement was referred to as “Weytha,” the name it was called at the time. The town was transferred in the ownership of the city of Kassa (Košice) in 1491, before it was bestowed, along with several other villages, by King Louis II on Balázs Szőllősi, the first known ancestor of the Vécsey family, in 1517. The family remained proprietors of the town from this time until the mid-1800’s. History refused to spare this region too. In the 1640’s the Turkish troops raiding the area invaded the Abaúj region and devastated the surrounding villages too. Hernádvécse became abandoned for nearly a century, to such an extent that in 1696 even its Lutheran church collapsed. The village was repopulated by Hungarian and Ukrainian settlers, well after the uprising against the Habsburgs led by Francis II Rákóczi, in 1730. Rebuilding the town was carried out at a sweeping pace, and dynamic economic and public administration development commenced, whereby a court of law was established in 1735. Several large-scale buildings were erected between 1735 and 1760, and the town’s structure wedged among the hills had evolved. The Vécsey-Sardagna Mansion, now a protected monument, was built in 1790 in the Late-Baroque style, as evidenced by its Louis XVI style gate frames. At this point, it was still only the Vécsey family’s shingle-roofed manor house. Records tell of a rebuilding project in 1811, and the mansion is shown as a highly elongated, rectangular building free-standing on a garden hillside. In the 1850’s the mansion and the estate were sold by the Vécsey family to Ferenc Dorner, a lawyer from Kassa, whose daughter later married János Sardagna in 1860. As part of the dowry, the residents of the former Vécsey Estate became the Sardagnas, until December 1949 when the castle was seized and taken from the family. The last issue of the family who was born here, Baron John Sardagna, died in 2008 in Basel. Following nationalization, an agricultural vocational school was established in the mansion, later to be replaced by a special education school set up in the building. It operated as a children’s home until 1998, and subsequently remained in an abandoned, obsolete state, gradually dilapidated. The mansion was bought in such a sad condition in 2007 by its current owner, Tibor Takács from Debrecen, who undertook to invest in the total renovation and extension, in effect the complete resuscitation of the estate. We had hoped that the mansion would be restored to its former, life-giving economic and social significance. The former large garden of the mansion had all but completely deteriorated by the end of the 20th century; as part of the current renovations, however, the garden was revived. The old traditional vegetation, the oaks, the sycamore, the chestnut and pine trees, the shrubs and the many magnificent flower varieties were all restored to their worthy place in the garden of the refurbished historic mansion. 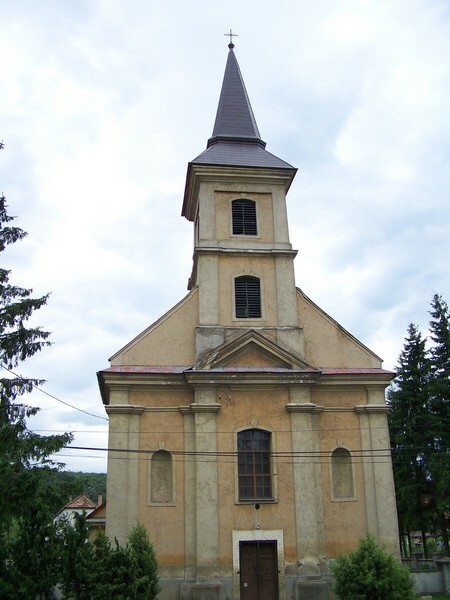 The other monument of the village is the Roman Catholic church built in 1811 in Late-Baroque style. It was completed by the order of Mrs. János Vécsey Baroness Zsuzsanna Splényi, the lady proprietor of the village. An interesting fact about the church is that its realization was the gift of Marie Louise. Around 1810, when Napoleon I was trying to conquer Russia, his first wife Marie Louise set off to visit her husband on the battlefield. It had been meticulously scheduled where the empress would be accommodated, in village inns or noble mansions. So it happened that on her journey she visited the Vécsey residence in Hernádvécse and was put up for the night. When she awoke in the morning and wished to attend holy mass, her host Ágoston Vécsey informed her that there was no church in Hernádvécse. Therefore, upon her departure she donated 1,000 ducats to the Vécseys to build the Catholic church. The status of the church – similarly to that of the castle – severly deteriorated over the centuries, but its steeple and facade now greet their visitors in a renovated condition, just like the castle, thanks to their investor’s vision. The Lutheran church of the village was built in 1790 and is an equally impressive witness of the historic past.